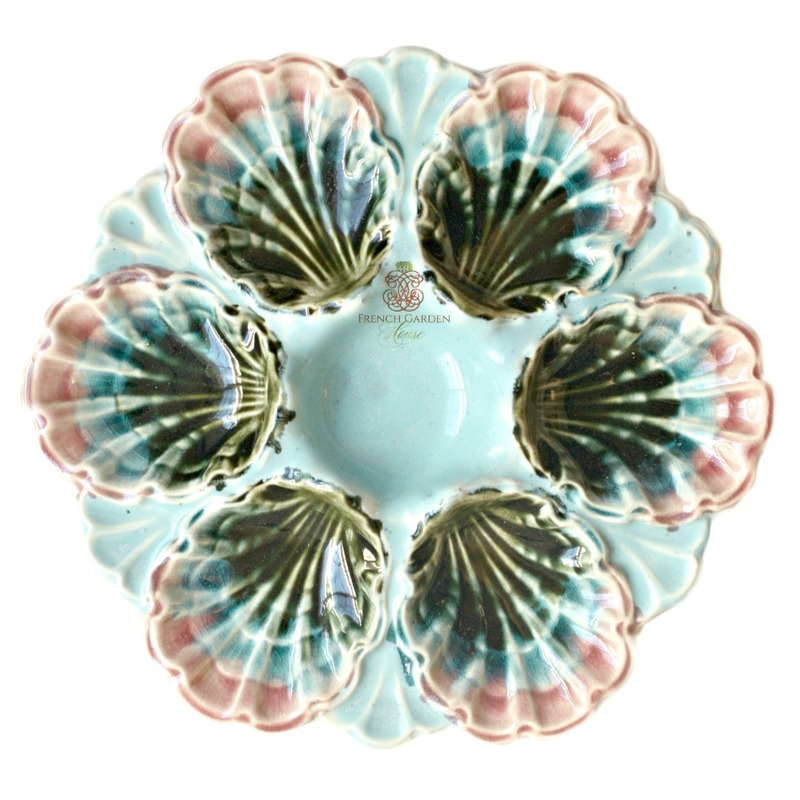 Exquisite 19th Century French Majolica Oyster Plate in luscious colors of Aqua Blue, Pink and Grey Green made by Five Lille, France around 1890. The Faïencerie Fives Lille was founded by Antoine Gustave De Bruyn in 1862. 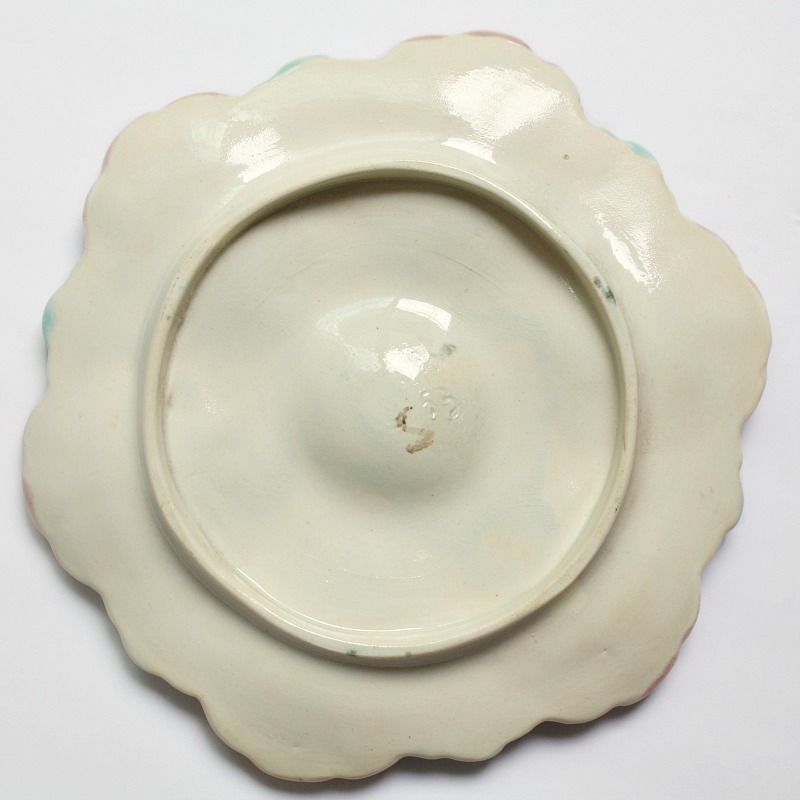 This oyster plate is amongst the most avidly collected and one look at the decorative shape and color and you will know why. Six shells shaped wells surround the center condiment well, the shells are colored a rose, pink, aqua green blue to end in seaweed grey green. 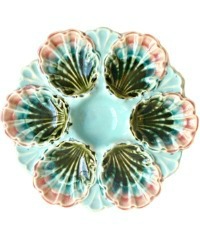 A decorative and fabulous addition to your collection of antique oyster plates, these are divine, that turquoise color! 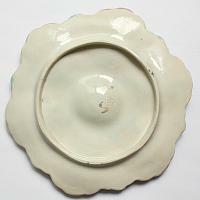 Unmarked, impressed number on the cream footed bottom.